"In terms of the loan facility agreement, payment of the full amount fell due on October 31, 2013. Penalty interest began to run at the rate of US$18 per annum from the date of maturity. In default and, therefore, in breach of the agreement between the parties, the defendant has failed to pay the capital sum and interest thereon in the sum of ZWR$33 720,55," the bank said. "Despite demand, the defendant (Chombo) has refused to and/or neglected to pay the amount due to the plaintiff (Agribank)." 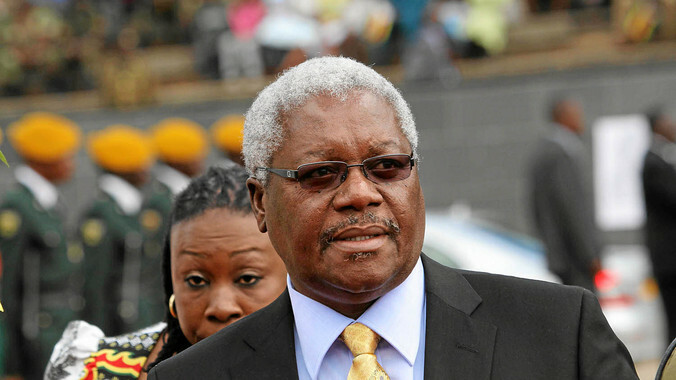 Just recently, the High Court dismissed Chombo's application for permanent stay of prosecution in a matter in which he is facing a plethora of criminal cases involving corruption, fraud and criminal nuisance. High Court judge Justice Nicholas Mathonsi said Chombo's abduction by the members of the Zimbabwe National Army, during operation restore legacy in November 2017 was not meant to extract a confession for criminal offences against him. But, in his judgment dismissing Chombo's application, Justice Mathonsi said the violation of Chombo's rights by the army appeared to have been undertaken for no discernible reason at all, adding that excessive force and violence was used to capture him, leaving a trail of destruction. The Judge further said Chombo was not subjected to physical assault and neither was there an attempt to extract evidence or a confession from him in respect of the offences he is now facing, hence he must face trial at the magistrates' court.